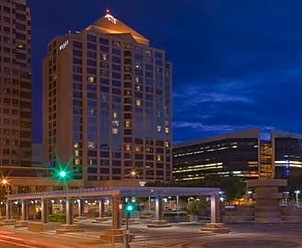 A special rate of $99/night +tax is available for conference attendees and vendors. The cutoff date for reservations is March 29th. Please use the button below to make your reservations and receive the group block discount. Or you can call 1-888-421-1442 (toll free) 1-402-592-6464 (non-toll free). If you are part of Monarch Properties, Inc. or JL Gray Company, please contact your company representative for hotel accommodations. Parking passes will be available for some registrations. Click the button to view available parking lots for free parking and how to obtain parking passes. We want to dress appropriately for each event. Attire is casual throughout the conference; therefore, no ties or formal wear are required. 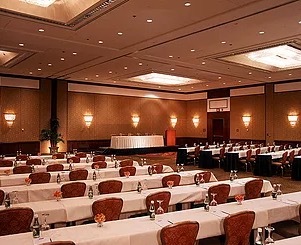 Casual business wear is suitable for conference activities within the hotel, including education tracks. Meeting rooms can be either too cold or too warm, so it is encouraged to dress in layers. Attendees and exhibitors are encouraged to dress in 60's hippie themed costume for Thursday night's banquet. There will be a contest for the best costumes and a photo booth for future bragging rights!